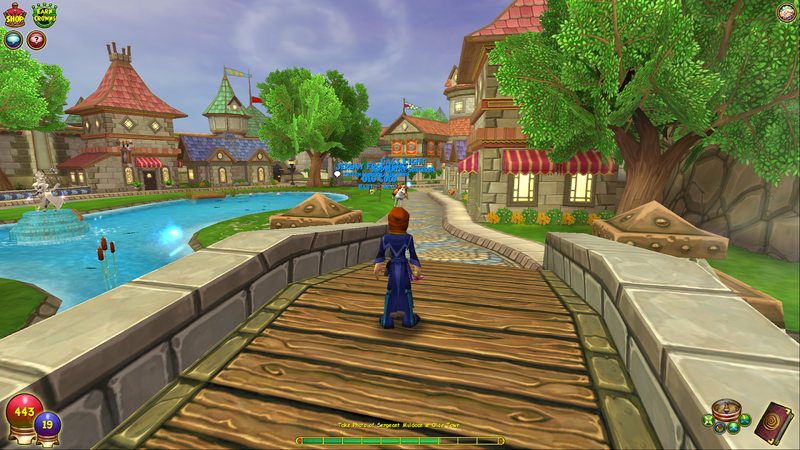 Wizard 101 received a major update yesterday. 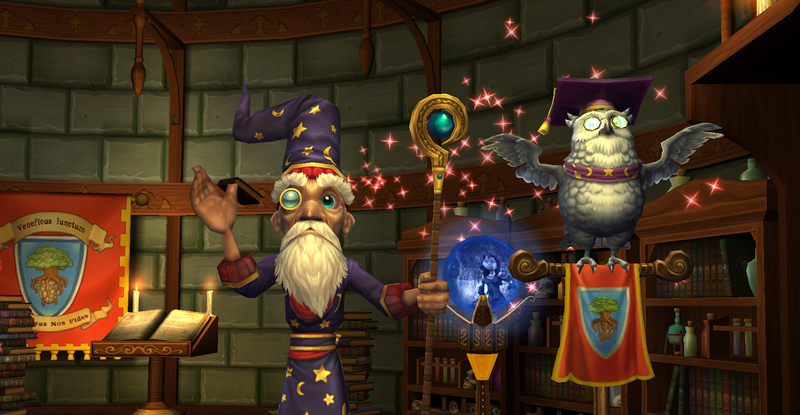 As the extensive patch notes reveal there were upgrades to Monstrology and Fishing but the centerpiece was the much-teased graphical revamp to Wizard City. Updating the graphics for an aging MMORPG is a risky undertaking. Sometimes the changes can be almost too subtle to see, as in Guild Wars recent refurbishment. Sometimes they can be eye-popping, as in EverQuest's infamous Freeport rebuild. Mostly they don't make an awful lot of difference, failing to convince potential new players that anything much has changed while mildly irritating veterans, who grumble a little but then carry on as though nothing had happened. "For those who prefer nostalgia or less graphic-intensive visuals, we’ve also instituted “Classic-Mode” so you can return these areas of the game to their original look. We know you might sometimes miss the old Wizard City, so we wanted to provide a way for you to return the game to its original settings." Now, really, how hard was that? It also allows me to post some "Before" and "After" shots. The new graphics are very evidently cleaner, sharper and smoother. Whether they look more up-to-date is less obvious. It's also slightly unnerving to see the old cobblestone bridge replaced with wooden planks. That would be seen as a downgrade if it happened in real life, wouldn't it? Given that, for once, there's a choice, the definitive judgment on whether the revamp has been successful lies in which version you decide to use. I'm going with the new one. It's not radically different but it's different enough to make the old zones look and feel fresh. The update also came with something that more MMOs could do with - a lore-appropriate, in-game mechanism for taking screenshots. In keeping with the theme of the game we now have Photomancy as an option. Just exactly how old do you need to be to get the joke here? 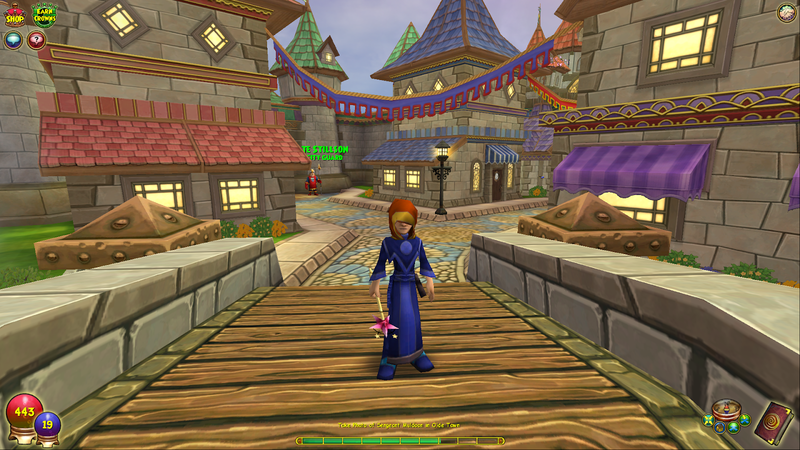 There's a new NPC, Annie Shutterbug, ready and waiting with a short series of introductory quests. I ran around doing those, last night. 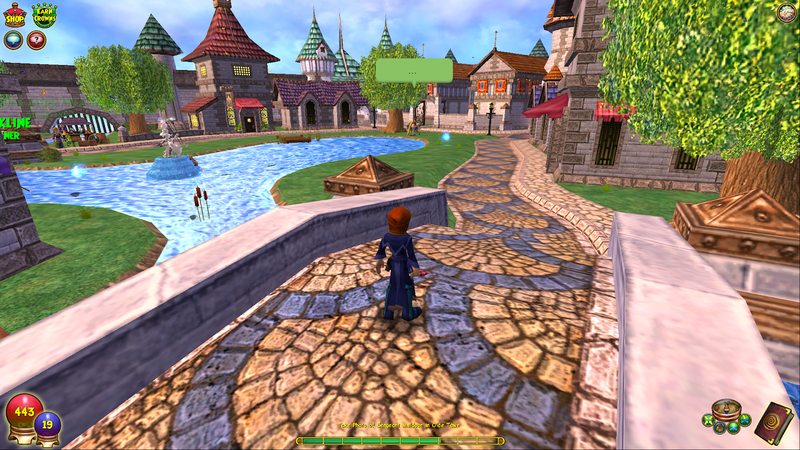 It took no more than a few minutes and gave me the opportunity to check out the graphical changes in several zones. Unfortunately, although all the quests completed just fine, when I came to look at the shots I'd taken my album was empty. It's entirely possible this is because I'm doing something wrong. Or maybe my shutter is bugged. Darn! None of them came out! I'll give it a day or two to shake out then try again. I hope it works then because it's a super-useful facility to have, being able to open your screenshot folder within the game. I seem to remember Black Desert having something similar. I wish every MMO did. As if all that wasn't enough, the update also added a Magic Mirror that allows you to "change your hair, hair color, face, skin, and eye color" and access "new hairstyles, new hair colors (including rainbow), new skin tones, and new faces (including ones with glasses) that aren’t available in character creation". All of that comes with a fee attached but the patch notes go on to say "We have made a few of the new hairstyles available for free in character creation as well." I didn't try the Mirror, which also offers face painting, mostly because I forgot about it, but I did make a new character. 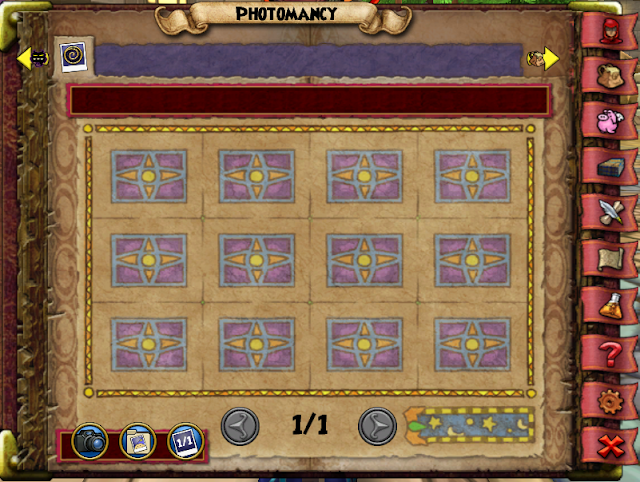 It's so long since I last visited Character Creation in W101 that I couldn't even begin to guess which of the options were new. The whole thing looked sparklier and flashier than I remembered. I made a female wizard for the first time. For some reason, even though I've been playing cross-gender in MMORPGs for the best part of twenty years and never really had any issues with it, for reasons I'd struggle to articulate let alone explain, I've always found myself cleaving towards playing my own gender in games aimed primarily at kids. I only played males in Free Realms and so far both my W101 and Pirate 101 characters have been boys. It is 2018, though, isn't it? I should be able to be anything I want online, right? 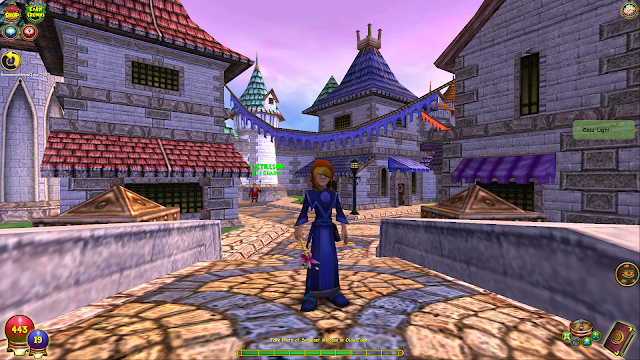 And let's be honest, it's not like I ever talk to anyone when I play either of KingsIsle's titles. I actively avoid other people most of the time because I've always found it generally slows things down if you group there. I already get a ton of Friend invites playing a boy, all of which I decline unanswered, so the chances of any awkward conversations are minimal. Don't even think about asking me to the prom, losers! There was some other impressive stuff in the update too, like some nice UI tweaks, particularly to sound, which I noticed and appreciated immediately. Not sure it's likely to get me playing again, mainly because there's just too much else going on right now, but it's very heartening to see a ten-year old MMO still getting such solid and worthwhile attention. You should write something about that (or link it if you already have). To my huge regret I never played E:OA. Always interested to hear more about it.